Wright & Schulte LLC is currently representing numerous clients in DePuy ASR hip implant lawsuits and continues to offer free legal evaluations to hip replacement recipients who have had to undergo revision surgery due ot the recalled hip. To speak to one of the attorneys at Wright & Schulte LLC, call 1-800-399-0705 or visit yourlegalhelp.com for more information on this and other hip replacement lawsuit news. 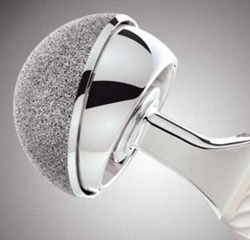 The firm notes that in August 2013, DePuy issued a voluntary recall of its ASR hip system which first became available in the United States in December 2005. DePuy stated in its recall guide that it was recalling the devices after receiving new, then-unpublished data from the United Kingdom that showed a higher number of patients with ASR hip implants were having revision surgery. According to DePuy, hip implant patients who required revision surgery reported having a variety of problems, including pain, swelling and problems walking, before having their second surgery. DePuy explained that these symptoms might be due to loosening of the hip implant, the bone around the implant may have broken or the two parts of the implant that move against each other may no longer be aligned. The U.S. Food and Drug Administration noted that the U.K. data for the ASR hip implants showed the revision rates within five years was about 13 percent. The FDA also noted that metal-on-metal implant systems carry unique risks because metal can be released from parts of the implants as the patient walks or run. Over time, some of the metal ions (cobalt and chromium) from the implant or from the metal particles can enter a hip recipient’s bloodstream. The metal particles can also lead to damage to the bone or tissue that is near the implant and joint. This adverse local tissue reaction due to the metal debris may lead to pain, implant loosening, device failure, and the need for removing the implant and replacing it with another one. Bloomberg reported in October 2013 that DePuy agreed to pay nearly $2.5 billion to settle about 8,000 lawsuits with plaintiffs who had revision surgery to remove their metal-on-metal hip implants as of August 31, 2013. According to Bloomberg, the plaintiffs who had revision surgery would receive an average base settlement award of $250,000. The agreement also called for plaintiffs who underwent multiple revision surgeries to receive a supplemental award. Wright & Schulte LLC, an experienced defective medical device firm, is dedicated to the belief that America’s legal system should work for the people. Every day, the attorneys of Wright Schulte LLC stand up for the rights of people who have been injured or wronged, and fight tirelessly to ensure those rights. If you’re looking for a law firm that will guarantee the aggressive and personal representation you deserve, please do not hesitate to contact Wright & Schulte LLC today. Free DePuy ASR Hip Lawsuit case evaluations are available through yourlegalhelp.com, or call 1-888-365-2602.